What kinds of questions are faced by those who enter the model railroading hobby? 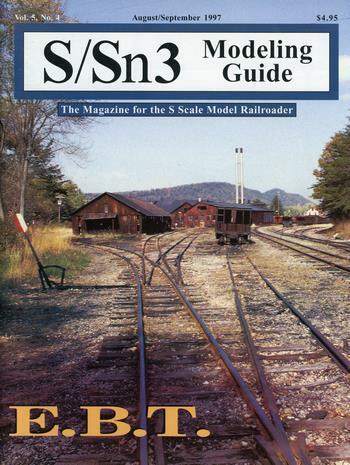 After introducing the East Broad Top narrow-gauge railroad in Pennsylvania, the author describes how it can be modeled in Sn3. The EBT also used standard-gauge equipment on narrow-gauge trucks, as well as stub-turnouts, so there is lots to model. Includes several pages of prototype photos. The author takes you through the process of scratchbuilding one of these cars. Includes several close-up model photos and a parts list. The article continues by working on the super-structure of the kit, building the cab, and their detailing. The author describes the construction process of the double-store downtown building. The author reviews the three-bay covered hopper, after providing a brief history of the prototype car.